Tiara shaped headband made of 14 pt. high density white paper board. Liquid laminated for a high gloss finish. Quick turn, just ask! USA made. Shipped flat with minimal assembly. 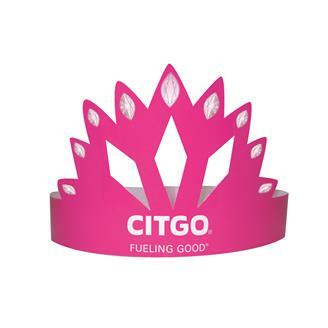 The perfect addition to any princess costume. See general information for complete details.